Not Available to Order. Call or email for used stock availability. Whenever I forget why I like to read (or enjoy anything, really) I pick up this book and remember why I got so obsessed with literature in the first place. You don't know a sentence until you've read Amy Hempel's. Her terse wit and attention to detail will probably change your life. After finishing a story of hers you'll feel as though the pressure in the room has changed. I could probably write an essay on this book. So seriously, just read this. The Collected Stories of Amy Hempel gathers together the complete work of a writer whose voice is as singular and astonishing as any in American fiction. Hempel, fiercely admired by writers and reviewers, has a sterling reputation that is based on four very short collections of stories, roughly fifteen thousand stunning sentences, written over a period of nearly three decades. These are stories about people who make choices that seem inevitable, whose longings and misgivings evoke eternal human experience. With compassion, wit, and the acutest eye, Hempel observes the marriages, minor disasters, and moments of revelation in an uneasy America. When "Reasons to Live, " Hempel's first collection, was published in 1985, readers encountered a pitch-perfect voice in fiction and an unsettling assessment of the culture. That collection includes "San Francisco," which Alan Cheuse in "The Chicago Tribune" called "arguably the finest short story composed by any living writer." In "At the Gates of the Animal Kingdom, " her second collection, frequently compared to the work of Raymond Carver, Hempel refined and developed her unique grace and style and her unerring instinct for the moment that defines a character. Also included here, in their entirety, are the collections "Tumble Home" and "The Dog of the Marriage." As Rick Moody says of the title novella in Tumble Home, "the leap in mastery, in seriousness, and sheer literary purpose was inspiring to behold.... And yet," he continues, ""The Dog of the Marriage, " the fourth collection, is even better than the other three...a triumph, in fact." 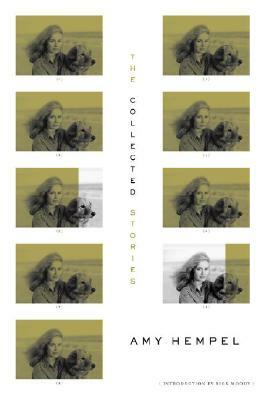 "The Collected Stories of Amy Hempel" is the perfect opportunity for readers of contemporary American fiction to catch up to one of its masters. Moody's passionate and illuminating introduction celebrates both the appeal and the importance of Hempel's work.